I had this book on my list for ages, so long that I'm not entirely certain why it was there rather than other books by these authors that I haven't read yet. The only book by John Green that I've read so far is Looking for Alaska , which I loved but found a little emotionally overwhelming, so while I definitely do plan to read more books by him, I haven't felt quite up to it yet. I have loved the books I've read by Levithan and Rachel Cohn, too, and when I saw this one was available as a free audio download through my library, I loaded it onto my iPod. 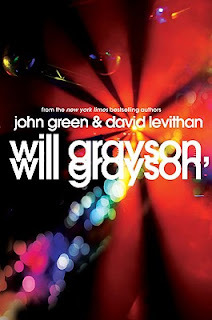 It's a story told through alternating viewpoints about two teens, both named Will Grayson, who live in suburban Chicago. One teen suffers from depression, is secretly gay, and has a long-distance online relationship with another gay teen, although they've never met. The other Will Grayson is a more upbeat guy, but he's been having some issues at school, too, following an editorial he wrote to the local newspaper in defense of his gay best friend, Tiny Cooper. The storyline bounces back and forth between the two Wills, until the day the two of them meet in downtown Chicago. From there, it is Tiny who is the fulcrum for the rest of the story, which moves in several surprising directions and ends with one of the hands-down best feel-good scenes ever. The characters are the strength of this novel. The two narrators have honest, believable and distinct voices, and while I thought I'd enjoy one storyline more than the other, they both had me hooked fairly quickly. But Tiny Cooper is the one who truly stole my heart. He is enormous - literally and figuratively. He is creative, emotional, talented, passionate, wise about some things and oblivious about others. He is an openly gay, singing-and-dancing football player who is writing a musical about his life - a musical he intends to stage at his own high school. His presence pulls this book together, and it allows so many lost characters to discover important things about themselves - not to mention aspects of their relationships with the people around them, in a way that sets them back on the right track. And if that makes it sound hokey or preachy, believe me, it's not at all. It's honest and funny, gritty and heartwrenching, but never in an overwhelming or depressing sort of way. I enjoyed the audio recording of this book, but I did wish that when they changed from one Will's narrative to the other, there had been an announcement of some sort. The two readers had similar voices, and sometimes I got confused for a little while about what was going on. It was a gripping listen, and I often found myself extending my evening walk just so I could hear a little more of the story. What I really loved about this book was that it is about all kinds of love, not just romantic love. It's about friendship first and foremost, but also about relationships with parents, classmates, and boyfriends and girlfriends, too. The book is whimsical in some ways, but dark and thought provoking in others. And, of course, there's Tiny Cooper. If there were more Tiny Coopers in this world, we'd all be a lot happier. 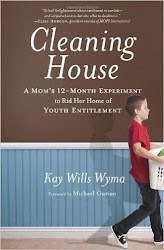 The Book Pirate: "It may sound like I didn’t like Will Grayson, Will Grayson, but I think my main problem with it was that there was nothing to make it stand out. It’s a story about the high school drama of two very different Will Graysons." Good Books and Good Wine: "Will Grayson, Will Grayson provides a complex look at growing up, self-acceptance, being different, friendship. I find that I can’t put this book into a little box." 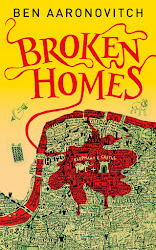 Tiny Little Reading Room: "I had varying feelings about the book throughout, liking it and not being sure I did and sometimes wondering who the intended audience was, but the ending was lovely and joyful (and surprising), so that went a long way."